from a "Student Bush Pilot"
(There were three people named Charles; my flight instructor, a fellow student, and me. 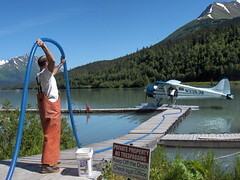 Alaska during the week of June 21, 2007. 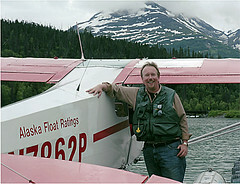 Flying Floats in Alaska -- Why I did it. 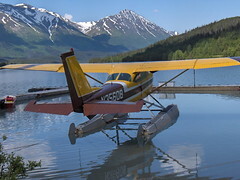 What's a Floatplane? 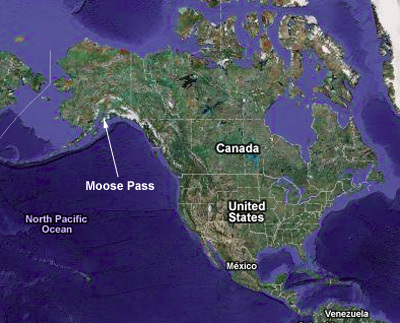 A look at Moose Pass. Caribou Stew. 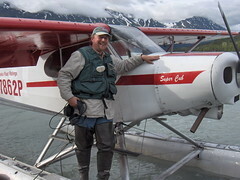 Flying Floatplanes -- What's it like to fly a float plane. Hip waders. The Piper Super Cub. Stick-and-Rudder. The Cub Driver -- Fellow student Mark gets his very own page of photos and stories. Who Hires Bush Pilots? -- Take me to where there are no people. The Great Fish Airlift. 50 States in 50 Days. 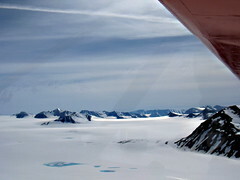 Ice Fields and Glaciers -- Aerial tour of the Kenai Peninsula. Ice Field the size of Rhode Island. Cabin rentals.